Kettle Cuisine, a specialty food manufacturer based in Lynn, Mass., has announced plans to acquire Harry’s Fresh Foods, based in Portland, Ore. Terms were not disclosed. Owned by Kainos Capital, Kettle Cuisine’s main product line is refrigerated and frozen soups. 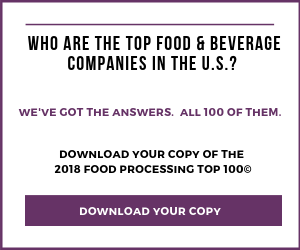 Other products include sauces, side dishes, entrees, sous vide meats, glace, demi-glace and broth concentrates, for both retail and foodservice. Harry’s Fresh Foods also has soup as its main product line, and is mostly active in private label. The Harry’s acquisition marks the latest step in a building strategy for Kainos. It acquired the frozen soup business of Norpac Foods last September, at the same time merging Kettle with Bonewerks Culinarte and Savory Creations. In 2016, a year after being bought by Kainos, Kettle acquired Del Monaco Foods, a private-label soup manufacturer based in Morgan Hill, Calif.